It's 27 degrees here in Austin right now which means the entire city has shut down. Which is fine with me because I get to put a log in the fire place and update my blog, hopefully get some sewing done too. Today I am showing off this easy to make cardigan. What inspired me first to make this was the fabric. Size/View: This look is View B and I cut size Small. Difficulty: This is very easy and straight forward. If you are familiar with sewing knits, this will be very easy. 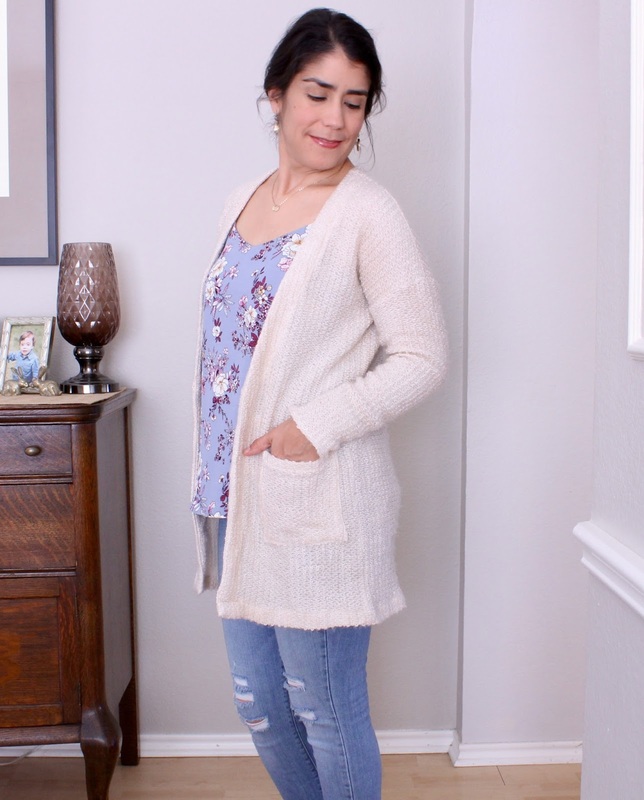 Be sure to check out my tips for sewing with knits, if you haven't already. 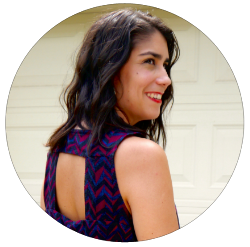 The same tips apply for sewing sweater knits! Pattern Alternations: I did not make any changes to the pattern. To sew all the seams, I used my serger. And for sewing the facing and hems I used a stretch stitch. 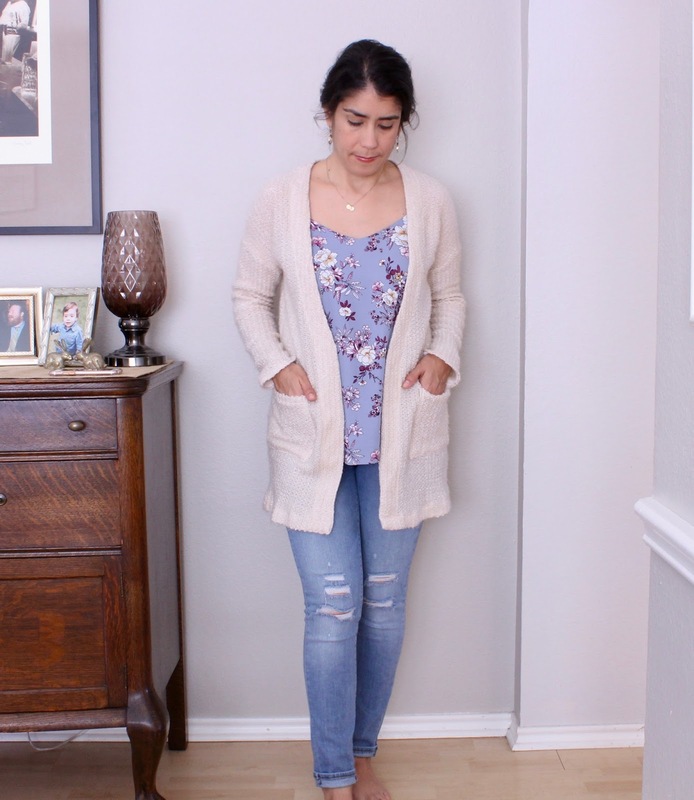 I did not add the button because I wanted my cardigan to look simple in the front. Plus I don't think I would need it. Recommend? : Yes I would recommend this pattern for any one who is looking for a quick sewing project while also adding a good winter staple to your closet. I love having a good cardigan in my wardrobe. There's nothing like layering with a tank or tee shirt for an easy everyday outfit. Here I paired it with a pretty camisole by Pink Republic from Kohl's. Hope you all are keeping warm this winter!